Hey there, Lords and Ladies! Gryphon News Network is back, with another exclusive: Maintenance Shields are coming to Lords Mobile! Maintenance Shields will be activated for select maintenances. You won't have to worry about being unshielded in the case of emergency maintenances! We will continue to improve the game and provide a better gaming experience for all. Maintenance Shields have activated automatically, but ONLY during select maintenance periods., but ONLY during select maintenance periods. The maintenance notice displayed when logging in will specify if a Maintenance Shield will be activated. Each Maintenance Shield may last for different durations. The exact duration will be detailed on the maintenance notice. If you log in to the game while your Maintenance Shield is still active, it will remain active for 5 minutes after. If you log in when there are less than 5 minutes left on its active duration, your Maintenance Shield will expire when the duration ends. If your Turf is located in the Wonder's Province, your Maintenance Shield will be deactivated IMMEDIATELY once you log in to the game. Your Maintenance Shield will be lost if you deploy any troops and/or Heroes while it is still active. Captured Leaders will not be released when the Maintenance Shield is active. 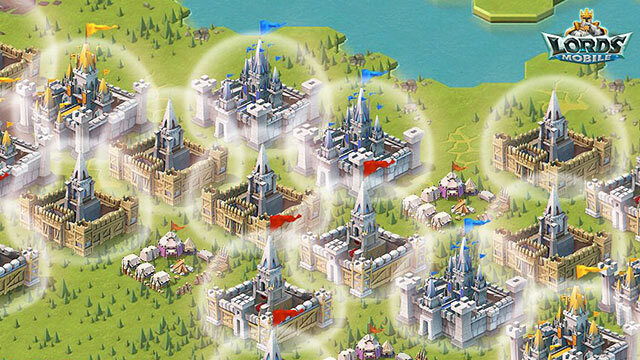 When the Maintenance Shield is activated, armies outside your Turf (armies engaging in military action, traveling troops, gathering troops) will be returned to your Turf (does not include troops in Camps, Darknest Rallies, Hunting Party, Supply Troops, or escaping Leaders). You cannot receive Reinforcements or Garrisoned Troops while the Maintenance Shield is active. The Maintenance Shield will not overwrite or otherwise affect any of your active Shields. If you have concerns or queries, please feel free to contact our Customer Service. Previous Previous post: 1 Billion might account zeroed in 20 minutes! !